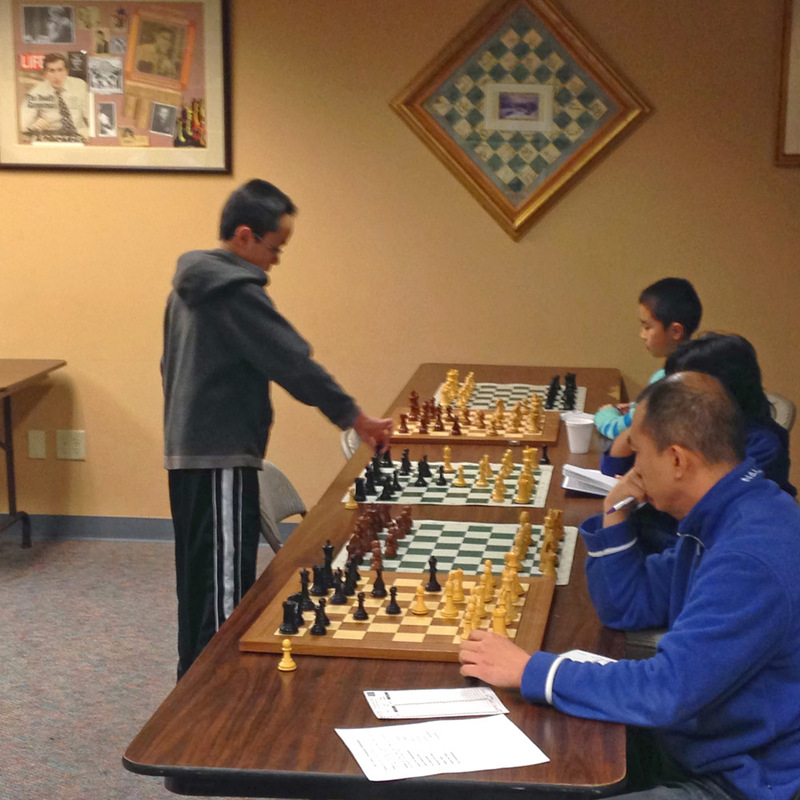 Photo: Roland Feng giving simul at the Seattle Chess Club. Photo: Nick Raptis and Carl Haessler at the Portland CC for their talk on Dec. 4. Western Idaho Open (Dec 14-15) in Boise. 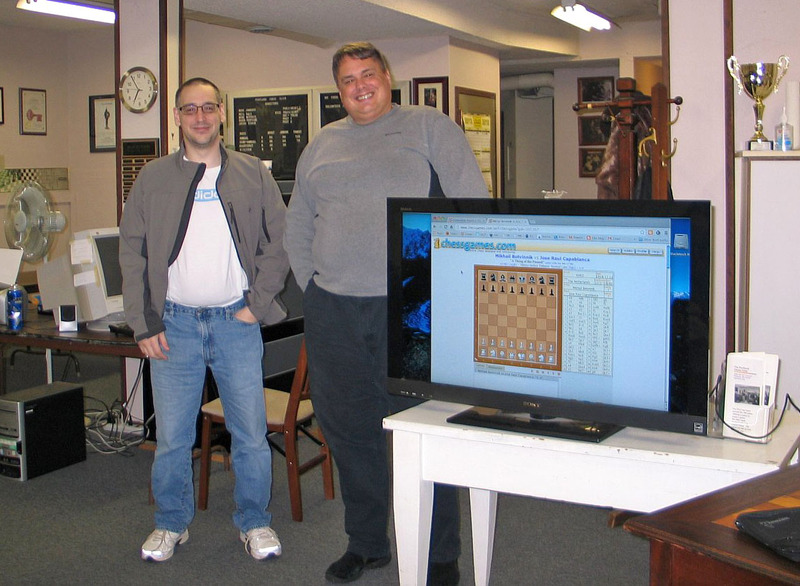 Recap of Anand-Carlsen World Chess Championship match (Dec 4) at the Portland CC by LM Nick Raptis and LM Carl Haessler. (Sep 7) at Coffee Time in Portland. 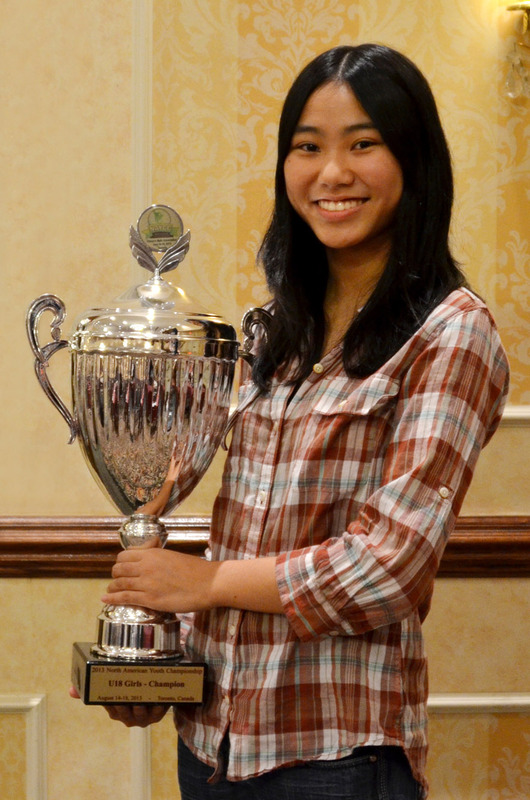 North American Youth Chess Championships (Aug 14-18) in Toronto - Megan Lee of Bellevue, WA won 1st place in the U18 Girls section. She was awarded the WIM title for winning the section. 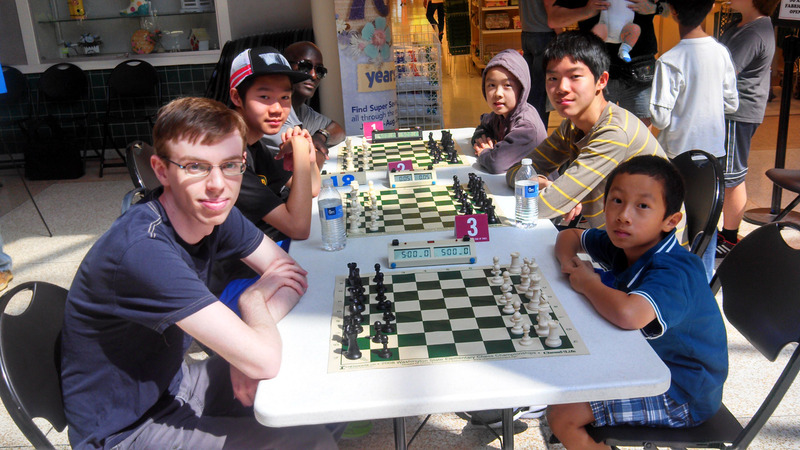 Megan and Michael Lee will be holding a simul fundraiser at the Seattle Chess Club on Saturday, September 7. New WFM Alexandra Botez, representing Canada, tied for 1st but placed 2nd on tiebreak, receiving a WIM norm and the WFM title. See the final standings (U18 Girls). 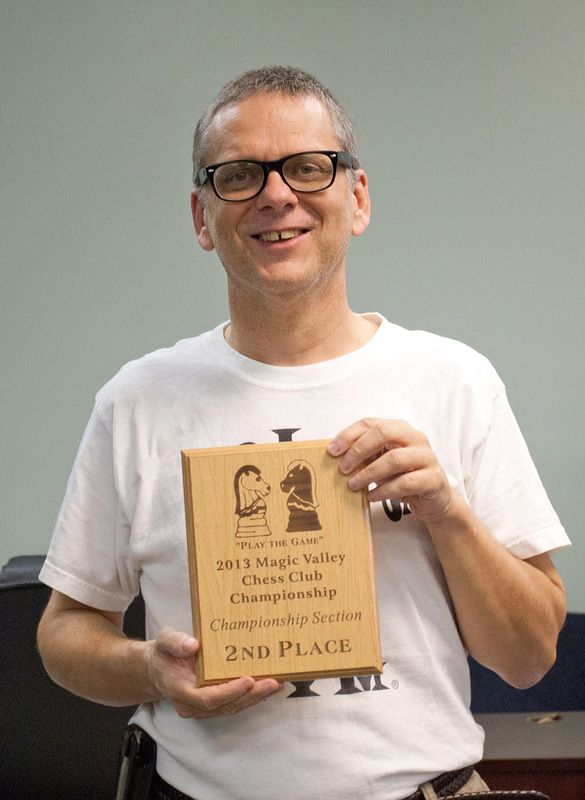 Run/Chess Championship (Aug 3) in Newport, OR - congratulations to Alex Mueller-Warrarnt on successfully defending his title! 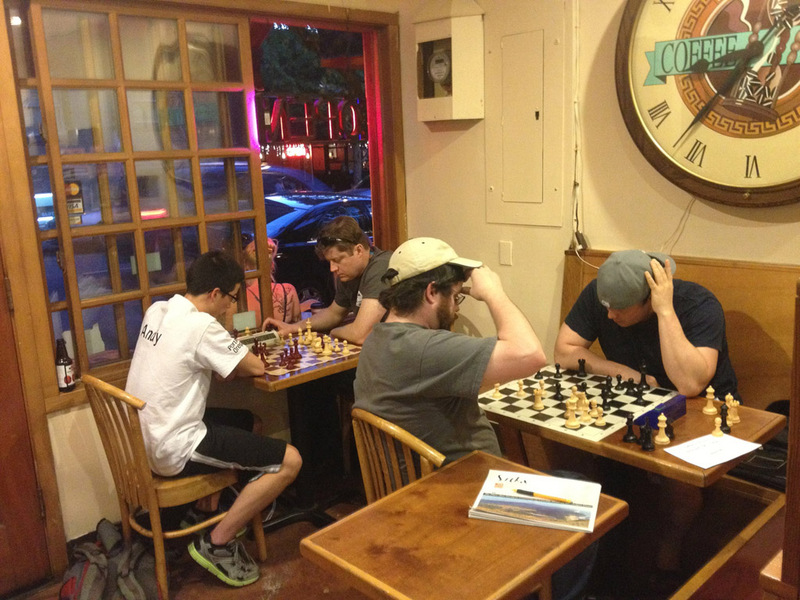 FIDE & USCF Rated Rapid (G/15) Chess Tournament (and unrated quads) (Aug 3) at Coffee Time in Portland. 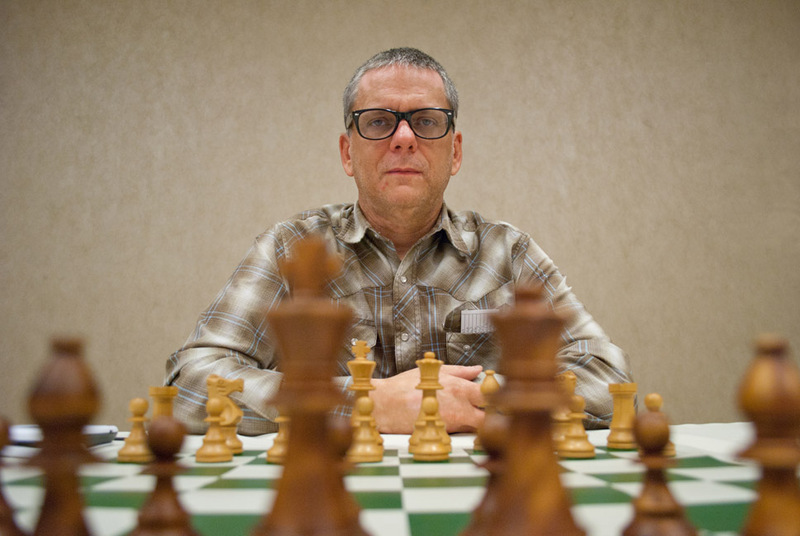 Also blindfold simultaneous chess exhibition featuring chess master Steven Breckenridge. Naomi (left) receives trophy as Pan-American Youth Co-Champion. Pan-American Youth Festival (Chess Championship) (Jul 25-Aug 1) in Brazil - blog post by the Bashkansky family. In the Girls Under 10 category, Naomi Bashkansky of Bellevue, WA tied for first place with a Bolivian girl with 8 points out of 9, and got second place by the first tie-break, thus becoming Pan-American Youth Co-Champion, and earning the Women Candidate Master FIDE title. See the U.S. Head of Delegation article. Thanks to the Bashkansky family for making this report and supplying the photo at left. 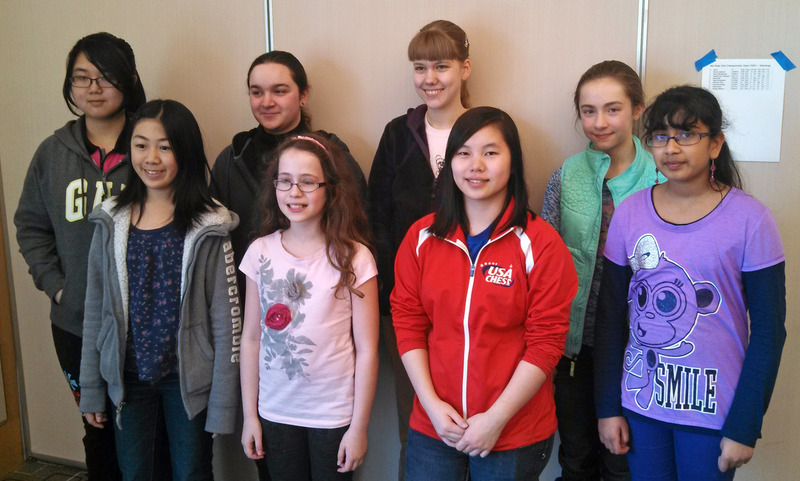 Susan Polgar Girls' Invitational (Jul 20-25) at Webster University - Five Northwest girls competed at this event. 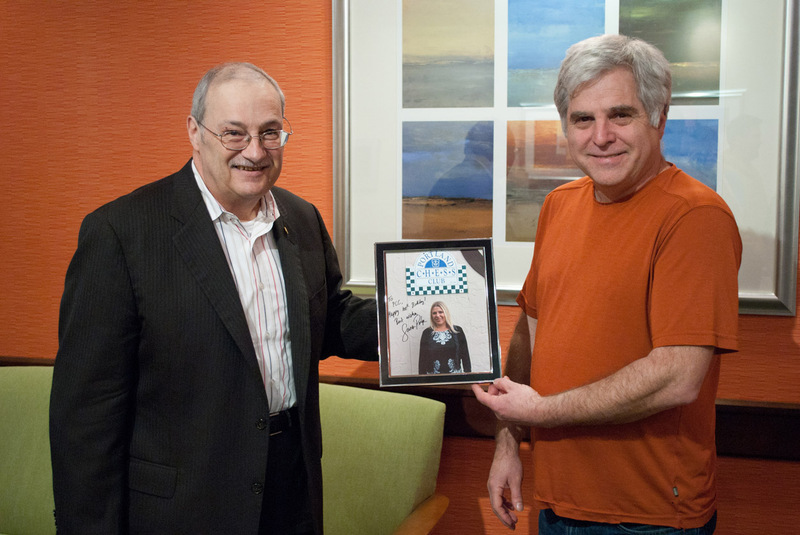 TD Frank Niro and assistant TD Jeff Roland made posts about the event on the NWC blog, and a report will appear in the September edition of Northwest Chess. 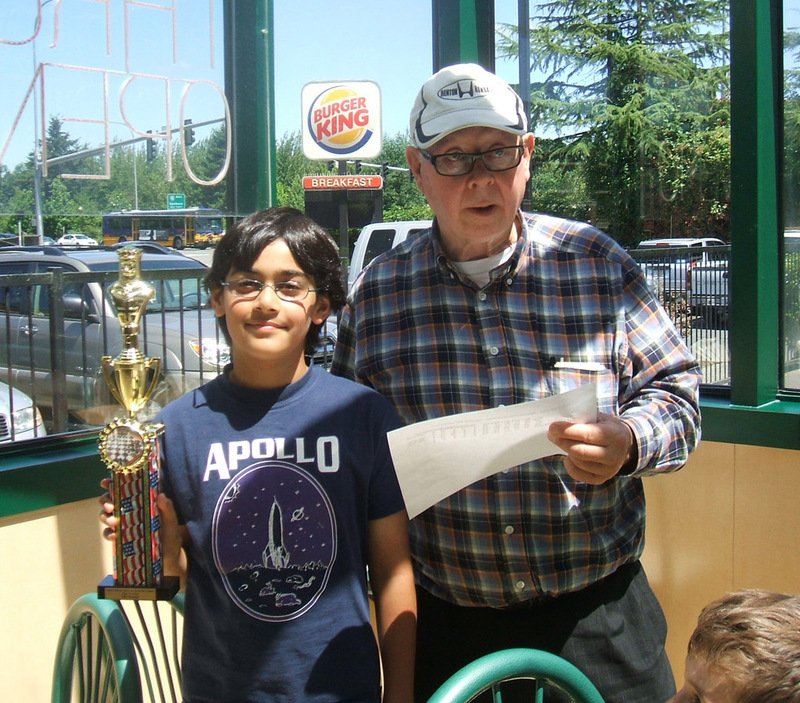 I am a Chess King at Burger King (Jul 13) in Issaquah - TD Gary Dorfner, Organizer Vincent Marr. 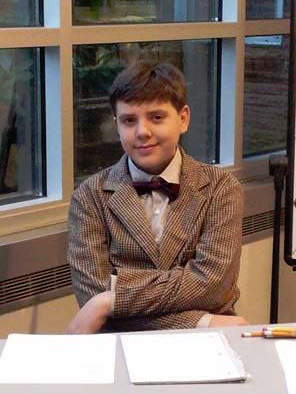 United States Junior Closed (Jun 13-23) - see story above and in August edition of Northwest Chess about Luke Harmon-Vellotti of Idaho. Newport June Open (Jun 15-16) in Newport, OR - See tournament history. All Girls Chess Championship, Chicago, IL (Apr 28) - Congratulations to Naomi Bashkansky, who won first place in the under age 10 section. Other Washington players also did well. Thanks to the Bashkansky family for making this report and supplying the photo at left. Washington State Elementary Chess Championships (Apr 20, hosted by Cornerstone Chess Club at the Clark County Fairgrounds in Vancouver, WA). Official website. See Northwest players win trophies at SuperNationals V (Apr 5-7 in Nashville, TN) on our blog! 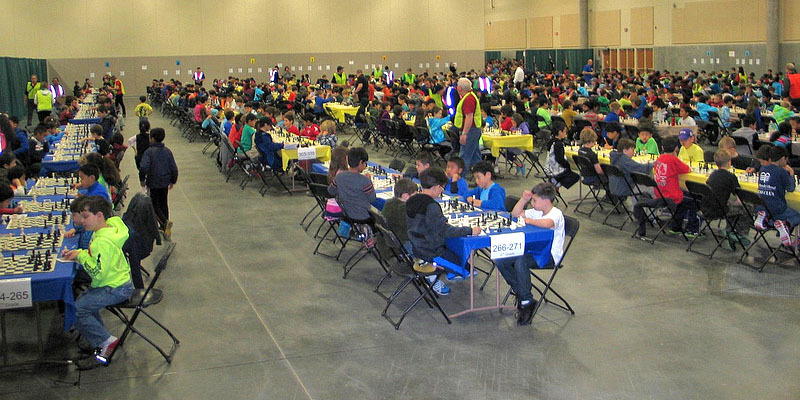 This was the largest rated chess competition in U.S. history! 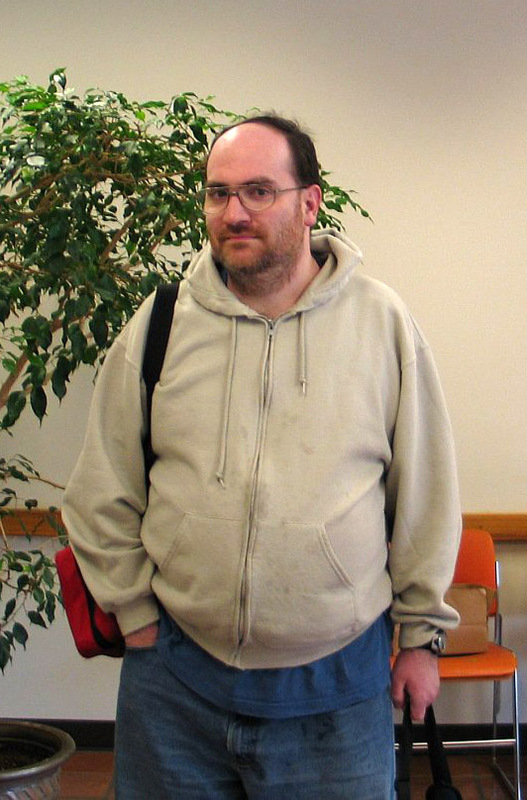 Harmon Memorial (Apr 13-14) in Portland - See 2007-2013 player participation spreadsheet, compiled by Russell Miller. Scholastics (March): The Washington High School Individual Championship was held on Jan. 25-26, but required a playoff on March 2 to decide the champion ... Xiaoman Chu, a freshman from St. George School in Spokane. For his victory, Xiaoman is invited to represent Washington in the Denker Tournament of High School Champions, held concurrently with the U.S. Open in Madison, Wisconsin in August. 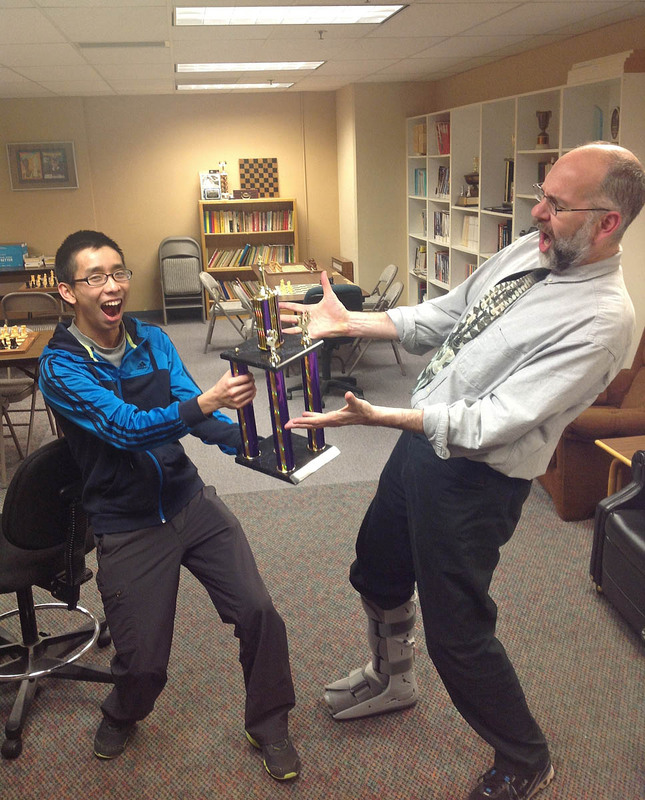 Photo: Xiaoman celebrates with (and receives trophy from) Washington High School Chess Association (WHSCA) President David Ellinger. Photo credit: Josh Sinanan. Back row left to right: Wanchen Zao, Priya Kudva, Sarah May, Audrey Whitmer. Front row left to right: Cheyenne Zhang, Naomi Bashkansky, Becca Lampman, Sujatha Devi Chalasani. Not in photo: Olga Cherepakhin. Washington State Girls Championship (Mar 23-24), Medina Elementary, Medina, WA. Congratulations to Becca Lampman for winning for the second year in a row. 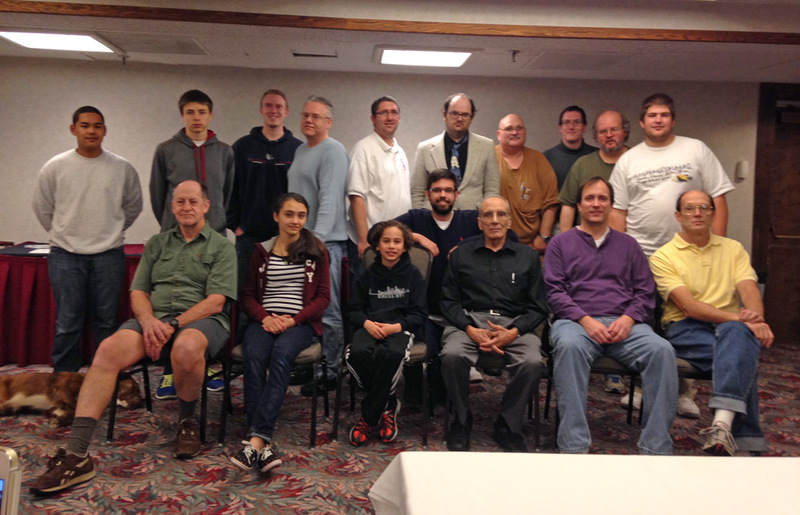 Becca is planning to spend her $500 toward the World Open, July 3-7, 2013 in Washington, D.C.
Group photo at left. Credit: David Hendricks. Photo: Washington State champion Ignacio Perez holds the trophy with his name engraved twice (2007 and 2013). 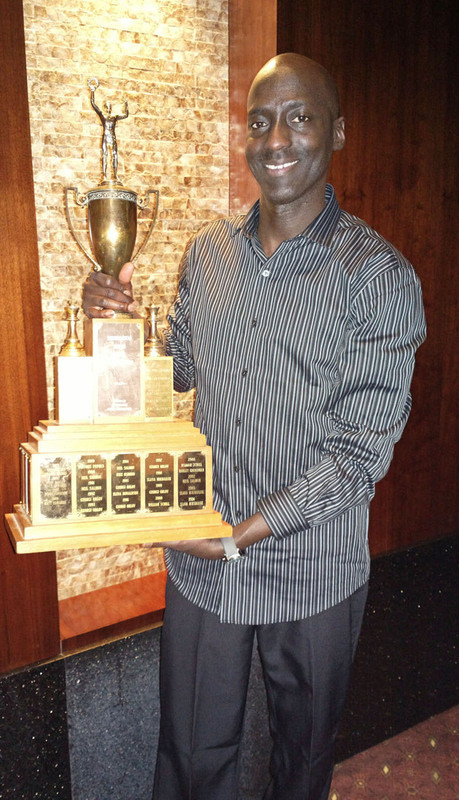 The engraved trophy was presented on March 6 at the Bellevue Hilton. Photo credit: Steve Shoe. Washington: FM Ignacio Perez, with score of 6 of 9. Washington State Championship. Oregon: FM Nick Raptis, with score of 7.5 of 9. Oregon State Championship. Idaho: Larry Parsons, with score of 5 of 6. Idaho Closed State Championship. FIDE Ratings of Players in WA and OR 2013 Championships. Scholastics (January): Washington Junior Closed (Jan 5-6). Group photo: Front row (L to R): Roland Feng, Nathan Lee, Michael Wang, Kyle Haining; Back row (L to R): Josh Sinanon WCF President, Michael Omori, Casey Xing, David Hendricks WCF Scholastic Director. Nathan Lee won with 4.5 of 5 points, drawing only Roland Feng, who finished second with 4 points. 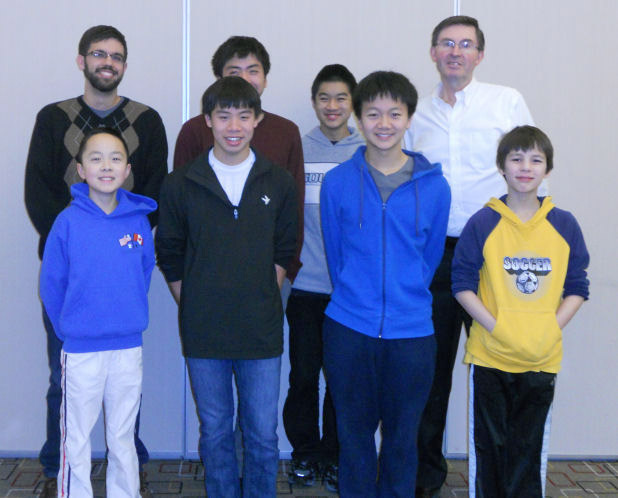 | Washington Junior Open & Reserve on the Monday holiday (Jan 21) in Bellevue, WA. The WCF board also met at this event.